Very patient and encouraging, but also fun! I'm a tennis pro with 12+ years teaching experience. I help students learn to play tennis by being patient, motivating, and encouraging, while promoting fun on the court! I look forward to working with you. Abe can recommend a location or come to any court inside the highlighted service area below. "GREAT / CAPABLE instructor ! Very knowledgeable & good at what he does!" "Abe is super helpful and willing to be flexible with what you want out of your lesson experience. He was quick to provide me with pointers and asked what I wanted out of the lesson. I trust his judgement fully and really enjoyed his professionalism!" "Abe was very patient and encouraging. Great experience." "Abe is very patient and knowledgeable great with students wanting to learn how to play tennis!" "Abe was great with my son!" "It was awesome. Very professional and is amazing with my 5 year old. Thanks Coach Abe." "We had a lot of fun." "Outstanding First Lesson. Looking forward to more." "My son is learning a lot and is very happy with coach Abe!" 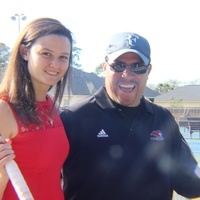 "I really enjoyed my lesson experience with Coach Abe. He's very knowledgeable about the game of tennis and was willing to work with me to improve on the areas that I wanted to get better. " "Couch Abe was full engaged from the moment we met, the first lesson met all our expectations"
"Had a very good first lesson. Looking forward to my next." "Good fun, good advice, the right level of advice: not too much, not too little - just the right "stretch""
"Abe is very nice with my 4 year old! He is super patient, makes fun, is encouraging. My son loves the lessons. He is able to adjust quickly to the needs and evaluates the abilities in a short time. His lessons are tailored to the learner, not to a textbook. We both, my son and I love it!" "He is awesome! You are fortunate to have someone who is so enthusiastic and passionate about teaching as he is. 5 stars!" "My first lesson with Coach Abe was extremely beneficial! He made sure to check my skill set thoroughly before progressing me to harder skills. I appreciated his enthusiasm and excitement about the sport. "